The past casts a long shadow — especially when it points to a woman's first love. Her name was Mary Grace until she fell in love with the French exchange student visiting her family's Nebraska farm. François renamed her "Aglaia" — after the beautiful Third Grace of Greek mythology — and set the seventeen-year-old girl longing for something more than her parents' simplistic life and faith. Now, fifteen years later, Aglaia works as a costume designer in Denver. Her budding success in the city's posh arts scene convinces her that she's left the country bumpkin far behind. But "Mary Grace" has deep roots, as Aglaia learns during a business trip to Paris. Her discovery of sensual notes François jotted into a Bible during that long-ago fling, a silly errand imposed by her mother, and the scheming of her sophisticated mentor conspire to create a thirst in her soul that neither evocative daydreams nor professional success can quench. The Third Grace is a captivating debut novel that will take you on a dual journey across oceans and time — in the footsteps of a woman torn between her rural upbringing and her search for self. 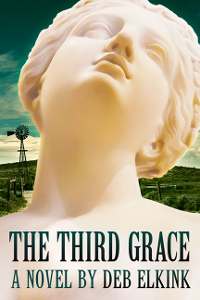 PLEASE CLICK HERE for discussion guide, book trailer, endorsements, and reviews of The Third Grace. Roots and Branches traces the image of the tree in the fiction of G.K. Chesterton, interpreting the underlying message of his religious convictions through biography and literary analysis. This book introduces the unitiated to a classic British author, allows students of G.K. Chesterton to mine his enigmatic work for metaphysical connotation, and encourages current-day writers to build symbolism into their own stories. There are few intellectual exercises more rewarding than the close reading of a Chesterton text. And too few critics have made the effort. Along with most exercise, it is avoided. Perhaps they are intimidated to offer a critical analysis of a writer who is himself a master literary critic. But Deb Elkink has risen to the challenge. She has not only gone very deep, she has gone deep on one theme in Chesterton, which illuminates the rest of his writing. The branches of the tree cover a wide area indeed. But she has also plunged into one particular text: Chesterton's rollicking tale, The Flying Inn. With her essay, "The Seven Moods of Gilbert," she has presented a more penetrating analysis of this novel than has ever been written. I warmly recommend Deb Elkink's excellent study. It is particularly admirable in giving Chesterton that close reading of his imagery (in this case that of the tree) and in convincingly linking particular aesthetic effects (a somewhat overlooked area in Chesterton studies) to a convincing grasp of their religious meaning. This is a valuable exploration which fills a need in accounts of the subject. 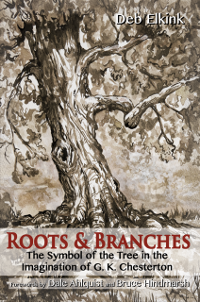 PLEASE CLICK HERE for further endorsements and reviews of Roots and Branches, and to read the Forewords by Dale Ahlquist and Bruce Hindmarsh. 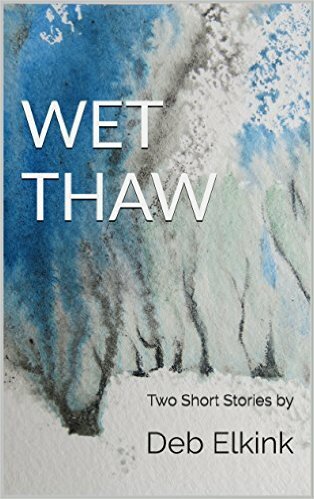 Wet Thaw is a compilation of two award-winning short stories. In "Wet," Beth faces a life-changing decision when she returns to the rainy island of the childhood home she abandoned as a troubled teen. In "Thaw," two touring girlfriends from radically different traditions experience the haunting atmosphere of Istanbul under the rare cover of snow.